Freelancing as a career has really taken off in Pakistan. Most people in development, designing, content and countless other fields augment their monthly earnings with freelancing. The reasons are quite apparent. It’s working on what you choose at your own schedule and that too for fair recompense. However, you still don’t run into people who’ve earned more than $1 million in freelancing. Today, we get to meet Hisham Sarwar, who’s done exactly that. Hisham’s story is also interesting because he’s managed to successfully translate his earnings into a successful entrepreneurial career. Starting out with a regular job at a US based company, Hisham quickly found out that as a creative designer, he badly wanted freedom and space. And that wasn’t possible with average 9 to 5 job. So he started freelancing on the side in 2007 and soon went solo to provide web design/development services to clients on freelance marketplaces like Elance, Freelancer and Guru. 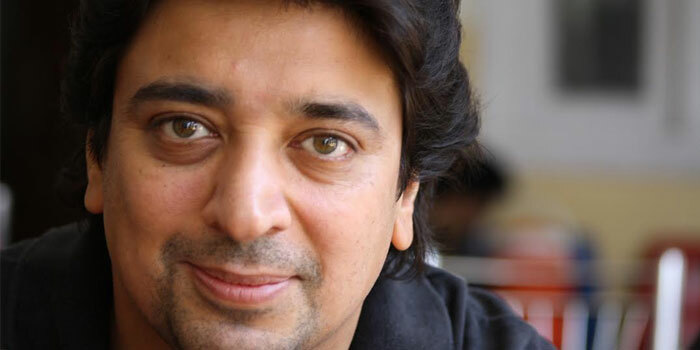 “In my opinion, if you can monetize your passion, it is far better than a full time job and working for someone”, said Hisham in an interview with ProPakistani. In the last 5 years though, he has narrowed his focus to only Guru and it’s proven to be a good decision. In a very short space of time, he’s earned more than $1 million in profile sales and been given exclusive coverage in testimonial on front page of Guru.com. He’s also among the top 10 freelancers on the portal. Right now, Hisham employs 20 people and provides services in the web development, graphic design and mobile application domain. Hisham is also a digital philanthropist who provides solutions for social issues. Konbola is a free mobile app (Android version already in Play Store, iOS to come) which helps people reach out to their closed ones in trouble. Something that’s very relevant to local needs. What’s promising to be his biggest venture is a silicon valley based partnership for ‘Truedrops‘, which will connect hospitals with donors within a few specified KM’s. Hisham is also running Pakistan’s first freelance marketplace (Rozgar Pakistan), Currently in beta, it’s expected to go live in February but already has over 10,000 freelancers from Pakistan on board. Offer something of value to your clients when you bid. For example alongside showing your portfolio, tell them you are willing to talk to them over phone/Skype and that is where you nail it. Bidding requires a lot of patience, persistence and one who is resolute wins eventually. You could earn anywhere from $100 to $10,000 per month and people are realistically earning these numbers. So approach it with absolute seriousness. Pakistani graduates lack hands on knowledge. Bookish knowledge is good but it has to be practiced and best time to do that is while kids are still in school. I have always felt the ones who are hands on practically are far better the toppers of their batch who only share book knowledge. While attitudes towards anyone not doing a nine to five job have ranged from bewilderment to downright derision in recent times, that’s changing for the better and people like Hisham are the reason why. More people are realizing that a poor job market (locally) does not mean that their skills are going to be wasted. There are always employers (who can be anywhere in the world) out there looking for talented people and the prevalence of the internet is making those opportunities available to millions of Pakistanis. With potential to reduce unemployment, boost the service sector and exports, freelancing could be the solution to a host of issues plaguing Pakistan and it’s high time people realize that. Samia Razaq likes to call herself a geek. Born on the Pakistan side of Kashmir, she is a child of an armed forces family. As her family moved around the country, she felt most at home behind a computer screen. “I was always this nerdy kid who would sit and code all day,” she said. It was there, perched at a computer, where she would find her calling. Now 26, Samia Razaq is Director of the Innovations for Poverty Alleviation Lab (IPAL), a research center within Pakistan’s prestigious Information Technology University. Composed and dressed in a red embroidered kameez, she stands as tall, if not taller than, her male colleagues. But glimpses of her shy younger self come through time and again. She talks fast, excitedly, as if her mouth is trying to keep up with her mind and giggles nervously, almost apologetically, after every couple of sentences. Once she is in front of her students, however, her demeanor changes. Collected and self-assured, she commands the room. This newfound confidence, she says, is a result of the Acumen Regional Fellows Program, a leadership development program that equips emerging social leaders in India, Pakistan and East Africa with the skills, knowledge and moral imagination to drive social change in their communities. It wasn’t only Samia Razaq’s humility that held her back. Pakistan has a history of gender discrimination, and women struggle for respect, rights and equal status. The technology industry, especially, has a shortage of females. Most women, like Samia Razaq’s sisters, end up in medicine or engineering. Samia Razaq, however, decided to explore computer science, although she wasn’t quick to recognize her talents. Thankfully her teachers did. They kept pushing her to pursue a career in technology so, in ninth grade when Pakistan requires students to pick a major, Samia Razaq chose computer science. Samia Razaq landed at the Lahore University of Management Sciences for her Bachelor’s and stayed on for her Master’s. It was here where she was introduced to a research lab using technology to create solutions to social problems. At first, she didn’t buy into the idea. But as part of her dissertation, she and her classmates were required to address a problem facing Pakistan’s poor. They came up with an idea to create a people-powered search engine for the country’s illiterate population. “Google isn’t all that helpful when you can’t read or write,” Samia Razaq said. “We tried to created a way to provide information to people through mobile technology based on the idea that nearly everyone today, rich or poor, has a cell phone.” The project had some glitches, but it got Samia Razaq thinking. Her skepticism was gone, replaced with a belief that technology had the power to produce solutions to Pakistan’s problems of poverty. Samia Razaq had found her path. Today, she is driving the field of Information and Communication Technologies for Development in her homeland. Not only is she the only female faculty member at IPAL, but she has also built her own lab to teach students how to think about and create technological solutions to Pakistan’s social issues. Inspired by Amy Smith’s D-Lab at MIT, Samia’s lab pushes students to work directly with low-income communities and build their capacity to insure their solutions are sustainable. “I’ve never had the opportunity to meet Amy or go to MIT, but I believe in D-Lab and wanted to bring its ideas here to Pakistan,” Samia Razaq said. She taught herself all of the MIT D-Lab courses and then worked on learning how Smith inspired her students. 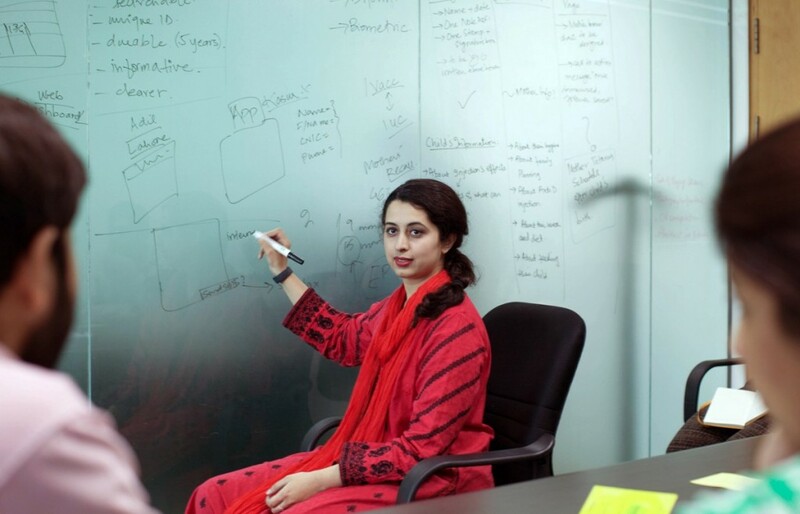 Today, Samia’s D-Lab is committed to addressing some of Pakistan’s biggest challenges. One of their top priorities is maternal health. Pakistan has the third highest maternal death rate in South Asia. Every 20 minutes, a woman dies due to pre- and postnatal complications that could otherwise be prevented. Samia Razaq and her team have developed an SMS and Interactive Voice Response (IVR) system to make expecting mothers aware of prenatal care, family planning and pre-maternal illness and are redesigning and digitizing immunization records to keep women informed before and after the child is born. “Maternal and child health isn’t an area many people focus on in Pakistan,” Samia Razaq said. “Women rely on their mother or mothers-in-law for information. They don’t share their problems because it’s not something you talk about openly in our culture. The problems live and die with these women, and no one knows how to address them — or that they can even be addressed. We are trying to create a system to change the conversation. Samia Razaq is also revisiting the concept she explored with her dissertation and led to her career in tech for development. 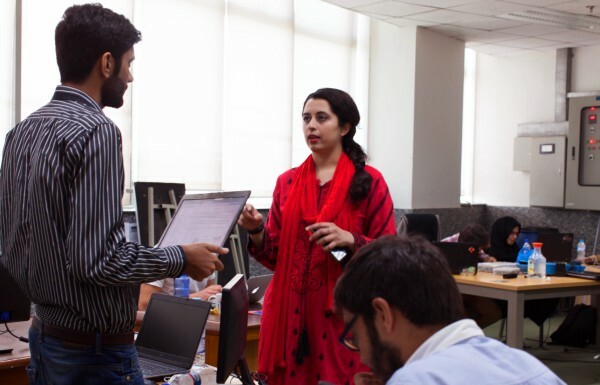 The people-powered search engine from her dissertation has now become Hello Rozgar, an IVR system designed to connect low-income, low-literacy Pakistanis with employment. Employers will call in and post jobs and, if you’re a plumber or carpenter looking for work in Pakistan, you can call to hear job postings, apply for them and soon enough provide phone numbers for three references. The team recently received a grant from GIZ to support their work and expand the service. Samia Razaq is a 2015 Pakistan Fellow. The Acumen Regional Fellows program is a leadership development program that equips emerging social leaders in India, Pakistan and East Africa with the skills, knowledge and moral imagination to drive social change in their communities. We’ve all seen the dot com bubble blow and burst. We’ve also all seen and read the success stories of the likes of Bill Gates, Steve Jobs, Larry Page, Sergey Brin, Larry Ellison and Michael Dell. Somewhere in the middle of this process, however, a lot of us have either ignored or simple never taken out the time to research into the people who are working with us and among us to rocket Pakistan into the global technological community. It is with that understanding that the team at TechJuice decided to publish a list of these very people in order to assign them both the respect and the idolisation they deserve. These people have paved the way and made the path much easier to tread for the upcoming generation and their determination is such that not only does their work continue to live on but that they continue to innovate newer, better, more beneficial projects year on year. It is with that mission that we unveil our list of people who have defined and stabilised the industry. It is important to stress that since the contributions made my these individuals vary in nature; in the spirit of diplomacy we have structured the list to be featured in alphabetical order. Do make sure to let us know what you think! Aamir Attaa is one of the few people among us all who managed to manifest their dream so beautifully. Attaa is a Data Network expert by profession but holds substantial experience in the fields of journalism, Internet marketing, and Search Engine Optimization. 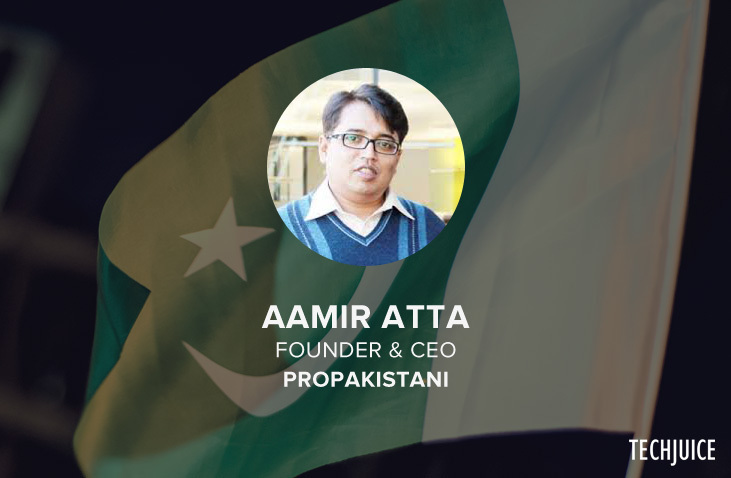 He founded the popular website ProPakistani which has been publishing breaking news content from out native telecom industry for more than 6 years now. ProPakistani has consistently proven to be a reliable channel for inside scoops and behind the curtain happenings for the readers who’ve wanted a little more than the rest. Attaa’s initial vision is what has led it to it’s present place. His presence behind this massive cloud of information dissemination, with massive numbers of subscribers to their newsletters and a substantial amount of fresh visits every month, is what has handed Attaa a trump card of influence over the telecom industry as a whole. Adam Dawood is acclaimed as the man behind DYL Ventures and the Pakistani who brought Rocket Internet into the local business atmosphere. 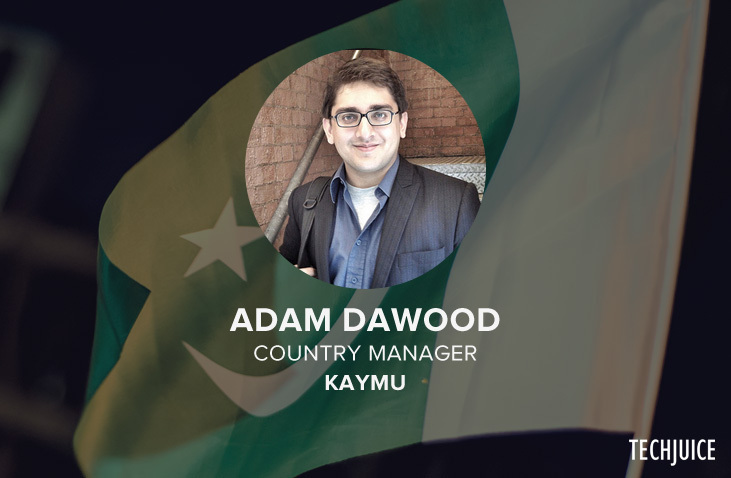 Apart from the work Rocket Internet has done by establishing their own and inspiring many more e-commerce initiatives, Adam himself has been hard at work working for several of their brands in the positions of Country Manager for Kaymu (an online retail platform) and formerly Product Manager of Daraz. 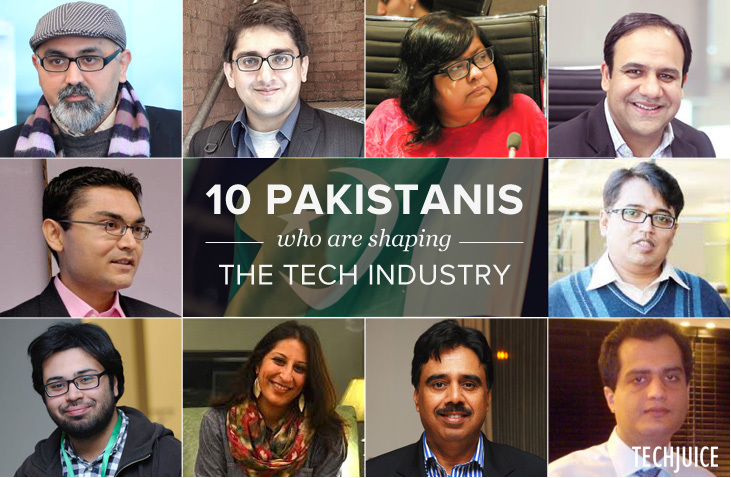 Adam is also the author of a popular Weekly Newsletter by the name of Tech Week in Pakistan and recently worked on the 2014 Pakistan Startup Report. Adam has served the industry and accumulated his influence by ensuring that all those interested remain informed and all those involved receive the deserved commendations and praise. Peshawar2.0 was established with the vision of instilling a sense of prospective self-achievement in the youth of the largest city within our fourth province. The organisation functions on the basis of social enterprise, which mean sustainable development running in parallel with social responsibility and personal profitability. With the minds of Faisal and Uzair behind the wheel, where Faisal is the Lead of Strategy and with degrees from Oxford and Cambridge in fields lying mainly around the area of Biological Science and Strategy planning and Uzair is the Head of Communications also holding several overseas accolades. Another achievement under their belt is the Startup Weekend event the two recently held in Peshawar which, following the typical Startup Weekend format, aimed to receive, review and nurture grassroots level startup pitches. Faisal and Uzair have also come together to establish a co-working space in Peshawar by the name of Basecamp Peshawar which is fast becoming the central location for all of the city’s IT related events. The fact that even some of the larger cities still remain void of any solid co-working spaces lays testament to the will and fervour with which Peshawar 2.0 has it taken it’s mission. Together, these two have formed not only the basic structure for a startup framework within one of the largest, and oft negatively stereotyped, cities within the nation but their collaborations with several large names within the fields related have made not only their venture one of the most renowned but has also made their mission a lot more attainable. After a very successful education from the United States which included several years of work with the popular brokerage house Merrill Lynch, Farzal returned to Pakistan for personal reasons. His return, however, ushered they way for a mindset he had already affirmed. Dojki is now the CEO of his own firm Next GenI (AKA Next Generation Innovations) as well as the co-founder of DotZero, the largest co-working space in Karachi. DotZero is intelligently placed in one the most frequented areas of the biggest city within our nation and functions as an open-to-all facility providing all the amenities necessary, complete with your own separate mailbox address, for you to get to work on your own next big idea. DotZero has been acclaimed not only by the local media but by the relevant publishing bodies all over the world; given it’s comprehensive list of packages and offerings with varying charges for students, entrepreneurs, SME’s and more in order to provide the maximum utilisation tailored to the consumers own needs. 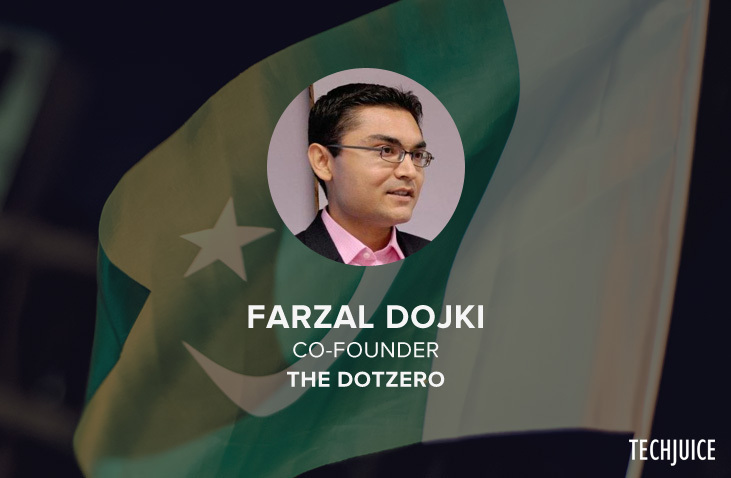 Farzal has opened up an entirely new dimension of promoting startup behavior through which speakers from some of the largest organisations in the nation (including P@sha, Plan9, i2i) have utilised his DotZero space to deliver their own talks and seminars. Mr. Dojki derives his own influence through carefully curating, accommodating and catering the clientele at DotZero and by establishing both it and himself as the vision to follow. 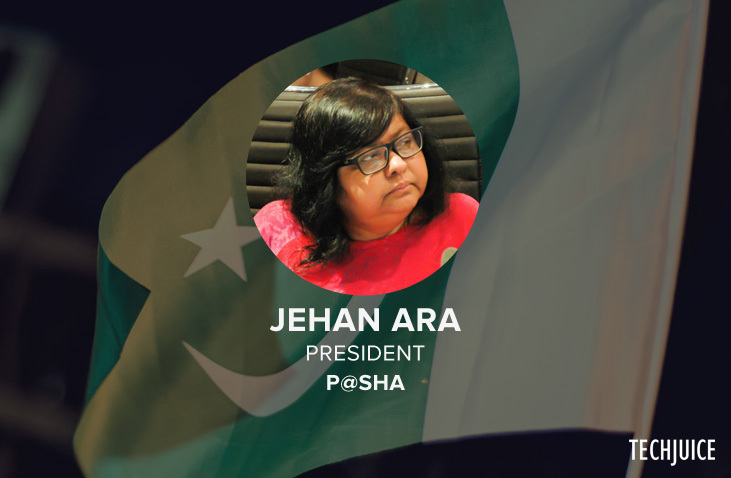 With 29 years of experience in Marketing, Communications and interactive media both internationally and locally, Jehan Ara is a motivational speaker, an entrepreneur, a social activist and a strong propagator for the use of Information and Communication Technology beyond pre-set boundaries. Aside from being the woman behind the P@SHA brand, Jehan is a regular speaker at seminars and conferences related to her field of work throughout colleges and universities in Pakistan promoting entrepreneurship and instilling it’s capacity within the impressionable minds. Jehan’s work includes several projects aimed towards harnessing the, often overlooked, potential that the female half out population holds and to overall increase the security that is lacking in their lives. She has dedicated herself as a Policy Advisor and her advocations include creating formal standards for Cyber-Security and Data Protection; all to create a Pakistan that is more nourishing and less galvanizing. Another one of her projects, yet remaining to be unveiled, is an incubator by the name of “I CAN” which is set to pioneer the startup incubator scene in Karachi; which despite being the most populous city in the nation is surprisingly home to close to zero incubators as of present. Her determination knows no bounds as is apparent from the number of people that simply associate the P@SHA name to her own and it is largely due to her own efforts that every successive year more and more entrepreneurs are able to realise their dreams by auditioning their own startups at numerous Silicon Valley platforms. Jehan pulls her influence from her vocal nature, her reputation for standing her ground and seeing through her mission and her position in the industry’s top-level association all adding the knack she has developed to seemingly always know the way to get things done the way they should be. In her past, Kalsoom has directed Social Vision (a philanthropic venture by ML Resources), become appointed as a Global Ambassador for Sandbox (a global network of entrepreneurs under 30) and become a member of the World Economic Forum’s Global Shapers. Kalsoom founded the popular blog, CHUP, or Changing Up Pakistan in January 2008, and has written for the Washington Post, the Huffington Post, and several other world-class publications and she was featured in a list of the Top 99 Foreign Policy Leaders under the age of 33 in the year 2012. 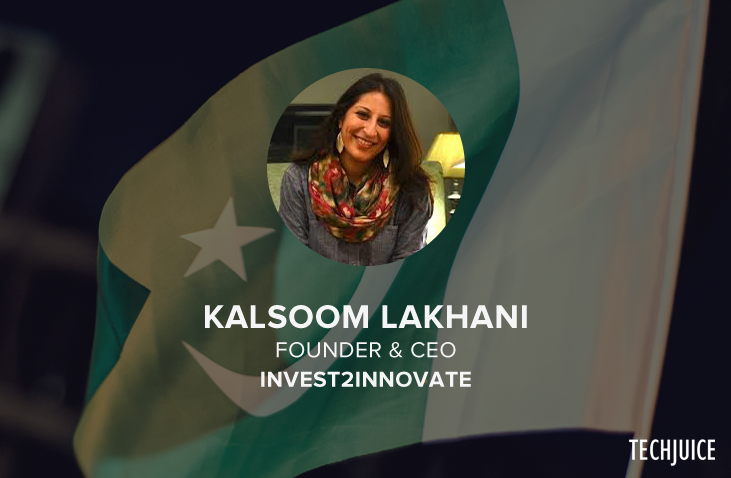 As of right now, she is the Founder and CEO of Invest2Innovate, or i2i, which supports startups and the broader entrepreneurship ecosystem in developing markets, beginning from Pakistan. i2i is incontrovertibly acknowledged as the best startup accelerator in Pakistan, it has already completed two full cycles and is ready to begin it’s third set of entrants in the near future. Her standing in the industry is backed by a number of large drivers: her talents in forming, reforming and understanding the shifts in policy as well as her experience on how to tackle the barriers they may present and her position as the CEO of one of the largest startup accelerators within the nation, which facilitates the make or break of the startups that come her way, establish her securely as a woman with a mission. When speaking of Khurram Zafar, it is safe to say that his qualifications and experience seem to be endless. With significant names on his work experience and numerous awards to his name, the award for Best Private CIO in Pakistan (in 2012) to name one, Khurram is a progressive farmer, a stock-exchange enthusiast and has remained has a teacher at ITU but above all he is a proud and motivated Pakistani through and through. In his vision to change and improve whatever he can, Khurram not only heads theCenter for Entrepreneurship at Lahore University of Management Sciences and has also been a member of the Plan9 committee. Despite all of the above, Khurram levies his hands with influence not only through his qualifications, accolades and experience but also through the commitment he has shown time and time again to the cause that is Pakistan’s IT industry. He has a history whereby a number of his startups have already received backing from the valley and are operating on their platform through these openings. In his own words, he describes LCE to be an “initiative by one of the nation’s most prestigious institutions to develop the country”. 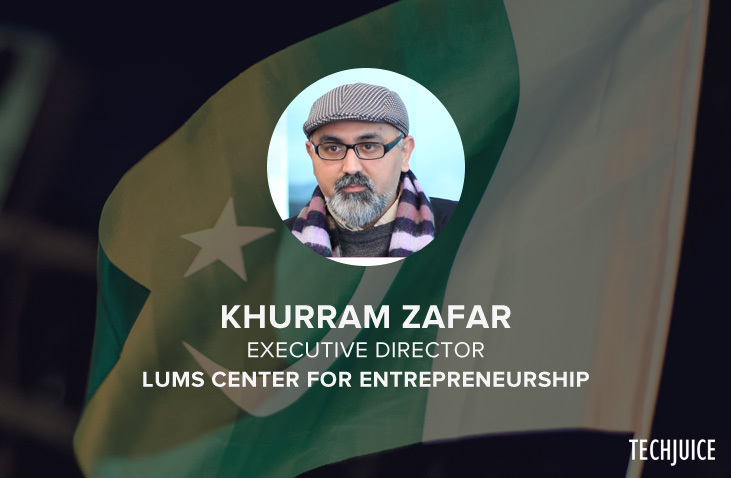 The Foundation, which is the incubator wing of LCE, aims to incubate startups that show promise, sustainability and show high-impact; and control over such a resource makes Khurram a powerful force at work inside the industry. His influence on the rising brilliant minds at LCE, his direct involvement at different points in time with two separate incubators in both the public and the private sector which includes the best Business School Incubator of Pakistan (LCE and Plan9) and his standing with the local officials all focus into a stream of determination that only begins to define the man that Khurram Zafar is. Salim Ghauri as close to an IT icon as our nation has managed to produce. He received his BS degree in Computers Science from the University of Punjab in Lahore, Pakistan where his education ended but his learning had just begun. 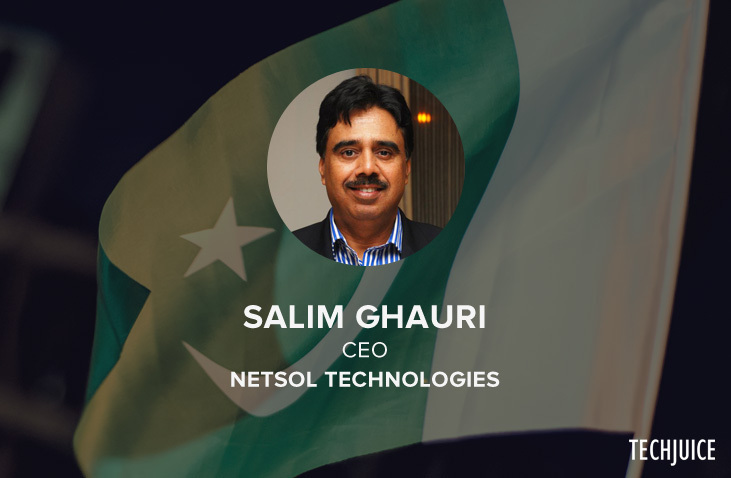 Before establishing NetSol Technologies Ltd., Salim had already acquired decades worth of experience in the Information Technology sector from Australia and Saudi Arabia.He is, at present, the founder as well as the CEO and Chairman of NetSol Technologies Ltd. (listed on the Karachi Stock Exchange (KSE: NETSOL) and also oversees the company’s business in the Asia Pacific Region. Due to his consistent perseverance and dedication towards the corporation he had set forward to establish, NetSol became the first and only Pakistani origin company to get listed on NASDAQ as well as the first (and the only) company in Pakistan to achieve CMMI Level 5 certification. Beyond all of the above, however, Salim Ghauri still remains the Chairman of P@SHA (Pakistan Software Houses Association) and in being so hold within his hands the power to turn around and radicalise the industry environment very rapidly. His knack for spotting, utilising and capitalising upon opportunities that remain transparent to others has proven itself consistently over the course of his career and Salim has quickly established himself as a father-figure of sorts for the industry. His skills in both IT and business, his experience working abroad, his control over one of the largest IT conglomerates from the region and his reputation in his field of work definitely secures a place for Salim on this list. 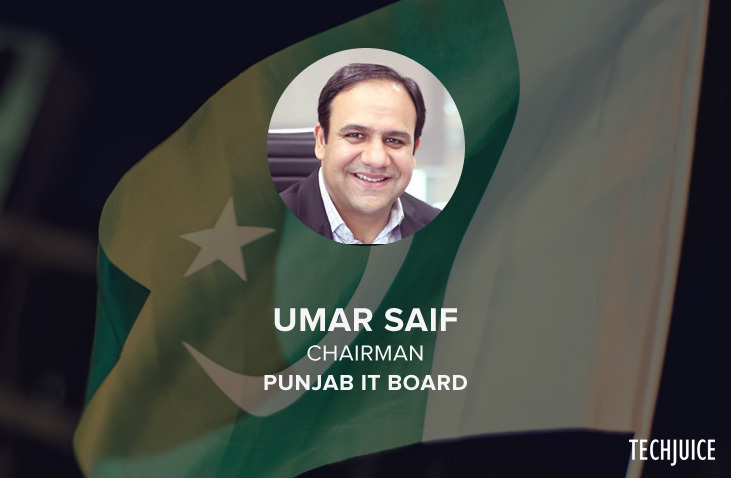 Umar Saif is possibly one of the largest names within our nation’s entire IT sector. Known all over the world for his application of Information and Communication Technology to counter the problems faced by under-developed and developing nations. Umar, after having worked in several first world nations alongside other notable names in the global industry, chose to return to Pakistan in 2005 after which in quick succession he became the Vice-Chancellor of ITU (at the age of 34), received tenure from the Lahore University of Management Sciences and became assigned as the Chairman for PITB as well as the Secretary of IT for Punjab. He is widely renowned as the streaming behind the Plan9, PlanX and TechHub ventures, and in doing so has opened up the gates to success for budding entrepreneurs from all corners of our nation – creating possibilities that never before existed for them and multiplying the potential for their ideas beyond their wildest dreams. In both his private and public work, Umar has devoted himself tirelessly towards the application of ICT (Information and Communication Technology) in a manner that would improve simultaneously the governance of the state and the standard of living of it’s people. His unmatched knowledge on how the sector operates, the weight of his input on policy structure, his experience in the field both within and beyond Pakistan and his reputation are the biggest factors that make Umar a mammoth force within the local industry. Zeeshan Akhtar is not just a man; he is a resource. Zeeshan worked for several leading electronics companies including LG at the post of Director of IT for 2 years and later at the post of Director of Mobile Phones for three years. In his latter position, Zeeshan manages to secure three different accolades for the company which included Brand of the Year as well as the Sales Performance award. 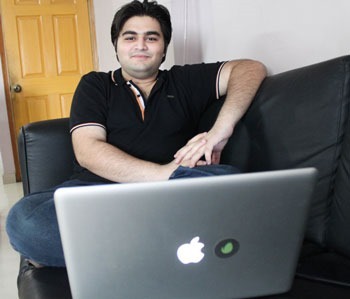 At the age of 30, Zeeshan took the reigns of QMobile which fast became the leading mobile phone company within Pakistan with his vision of quality and value for money driving the company to its success. Zeeshan drove the brand forward formulating a strategy through which QMobile’s advertising budget alone left the likes of Nokia and Samsung (within Pakistan) to shame. Zeeshan transformed QMobile into a brand that consumers not only but often preferred to their pricier competitors. A culmination of his clout, his general reputation as a marketeer with the coveted “eye” all others revere and his direct point contact with the driving force behind all business (that is, the consumers); it is apparent that Zeeshan carries his influence in multiple shapes and forms.